Game recaps, Timo Meier fined, Jean-Gabriel Pageau suspended and more in today’s NHL morning coffee headlines. NHL.COM: Florida Panthers captain Aleksander Barkov had his second consecutive two-goal game leading his club to a 4-2 victory over the Arizona Coyotes. With the loss, the Coyotes slide into a tie with the Colorado Avalanche (78 points) for the final wild-card spot in the Western Conference. The Panthers sit seven points out of a playoff berth in the East. Patrice Bergeron scored twice and Brad Marchand collected three assists as the Boston Bruins downed the New Jersey Devils 5-1. The Bruins (96 points) hold a six-point lead over the Toronto Maple Leafs for second place in the Atlantic Division. 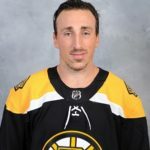 Speaking of Marchand, the well-known trash talker lobbed some good-natured verbal bombs at NBC Sports’ Joe Haggerty before last night’s contest over a recent column in which Haggerty wondered if the Bruins are a better team without defenseman Torey Krug. Steven Stamkos and Victor Hedman each had three points to lead the Tampa Bay Lightning to a 6-3 win over the Carolina Hurricanes. Lightning forward Yanni Gourde could face a suspension after receiving a match penalty for a hit to the head of Hurricanes center Jordan Staal, who left the game briefly as a result. The Lightning now has a league-leading 58 wins and 120 points, while the Hurricanes (87 points) hold a two-point lead for the first Eastern Conference wild-card spot. The Montreal Canadiens (85 points) regained the second Eastern wild-card berth by blanking the New York Islanders 4-0. Canadiens goaltender Carey Price kicked out 28 shots for the shutout while the Isles (91 points) are tied with the Pittsburgh Penguins for second place in the Metropolitan Division. Ivan Barbashev tallied his first career NHL hat trick as the St. Louis Blues clipped the Detroit Red Wings 5-2. Thomas Vanek scored both goals for the Wings. The Blues have points in their last four games and hold third place in the Central Division with 86 points. Pittsburgh Penguins captain Sidney Crosby’s shootout goal lifted his club to a 2-1 win over the Nashville Predators. The Penguins are now tied with the Islanders (91 points) for second place in the Metro Division. Carter Hart made 40 saves to backstop the Philadelphia Flyers to a 3-1 victory over the Chicago Blackhawks. Sean Couturier had a goal and an assist for the Flyers (80 points), who sit five points out of a playoff spot in the East. The Blackhawks (74 points), meanwhile, remain four points out of a wild-card position in the West. The Colorado Avalanche moved into a tie with the Coyotes by beating the Dallas Stars 3-1. Philipp Grubauer turned aside 40 shots while Tyson Barrie collected his 300th career point for the Avs. The Stars (82 points) still hold the first Western wild-card spot. Matthew Tkachuk and Garnet Hathaway each had a goal and an assist in the Calgary Flames 5-1 win over the Ottawa Senators. With 99 points, the Flames hold a five-point lead over the San Jose Sharks for first place in the Pacific Division and the Western Conference standings. Flames forwards Sean Monahan and Sam Bennett both returned to action after being sidelined by injuries. The Senators played without center Jean-Gabriel Pageau, who received a one-game suspension for boarding Vancouver Canucks defenseman Ashton Sautner. The Columbus Blue Jackets (84 points) fell behind the Canadiens in the Eastern wild-card race by dropping a 4-1 decision to the Edmonton Oilers. Leon Draisaitl collected three assists for the Oilers (73 points), who sit five points out of a Western playoff spot. Malcolm Subban made 20 saves for his first career NHL shutout as the Vegas Golden Knights downed the Winnipeg Jets 5-0. William Karlsson and Reilly Smith each scored twice for the Golden Knights (89 points), who sit third in the Pacific Division. The San Jose Sharks dropped their fourth straight game by falling 4-2 to the Los Angeles Kings. With 94 points, the Sharks sit five behind the Flames. Earlier in the day, Sharks forward Timo Meier was fined $2,000.00 for diving by the Department of Player Safety. OTTAWA SUN: During an appearance yesterday on Toronto’s Sportsnet 590, Senators owner Eugene Melnyk said the key for his club is to identify who his club’s true fans are. “For our fans, our real fans, we’re doing the best we can and all you can do is just keep doing what you’ve been doing,” he said. SPECTOR’S NOTE: So Melnyk is asking Senators fans to stay away and keep up their #MelnykOut campaign? Because that’s what the real fans are doing. They’re fed up watching promising rosters being torn apart because of the constant parade of their best players out of Ottawa. NEW YORK POST: Rangers forward Jesper Fast may have played his final game this season. He’s been nursing a shoulder injury for the past three months. SPORTSNET: The Philadelphia Flyers and Chicago Blackhawks will open next season with a game in Prague on Oct. 4. The Buffalo Sabres and Tampa Bay Lightning, meanwhile, will face off in two November contests in Stockholm.